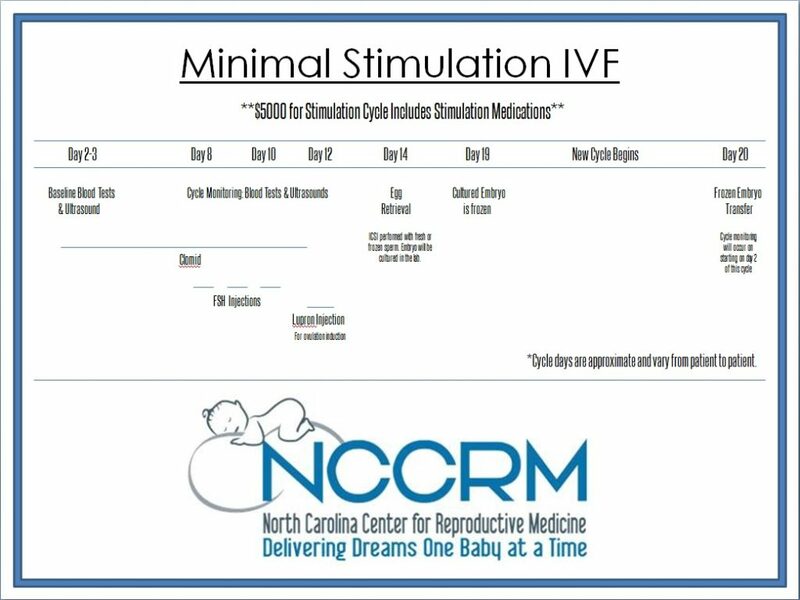 All stimulation medications, cycle monitoring, anesthesia, retrieval, ICSI fertilization, assisted hatching, Blastocyst Culture: Frozen Embryo Transfer and cryopreservation of two embryos. **NCCRM will bill your insurance as a courtesy and accept what they pay for in house monitoring. **All outside monitoring visits are subject to that facilities financial protocol. Frozen Embryo Transfer (FET): $1,325: Medications and monitoring will be the patient responsibility with frozen embryo transfer cycles. Low Stim Cycle costs listed on this page reflect “cash discounts” and are paid in advance.